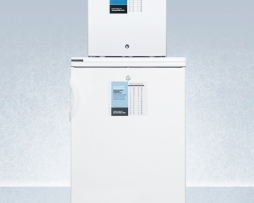 Summit FFAR24L-FS24LSTACKPRO General Medical Refrigerator Freezer Stackable design allows you to maximize limited floor space while enjoying the full storage convenience of an independent refrigerator and freezer with a measurement of 40.38″ H x 18.5″ W x 17.63″ D.
Summit FF7L-VT65MLSTACKPRO General Medical Refrigerator Freezer stackable design allows you to maximize limited floor space while enjoying the full storage convenience of an independent refrigerator and freezer with a measurement of 67.0″ H x 23.63″ W x 23.5″ D.
Summit FF7L-FS24LSTACKPRO General Medical Refrigerator Freezer stackable design allows you to maximize limited floor space while enjoying the full storage convenience of an independent refrigerator and freezer with a measurement of 54.0″ H x 23.63″ W x 23.5″ D.
Summit FF28LWHPRO 2.4 cu.ft. 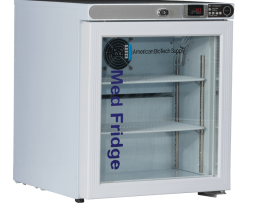 Compact Medical Refrigerator includes internal fan and digital thermostat for reliable temperature stability and measures 25.0″ H x 18.5″ W x 17.75″ D.
ABS PH-ABT-HC-UCFS-0204 2.5 cu.ft. 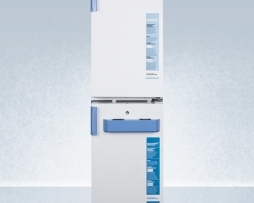 Premier Pharmacy/Vaccine Undercounter Refrigerator Freestanding Units come standard with microprocessor temperature controller with audible and visual alarms, digital temperature display, remote alarm contacts, Freestanding thermometer with 3 year certificate of calibration, keyed door locks, leveling legs, and pharmacy refrigerator/freezer toolkit, temperature logs and CDC approved power cord labels. 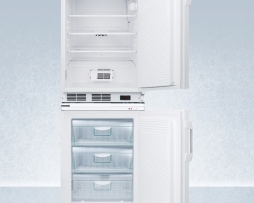 Temp Mapping, IOPQ and Extended Warranty options available, see Accessories for pricing. Two year parts and labor warranty. 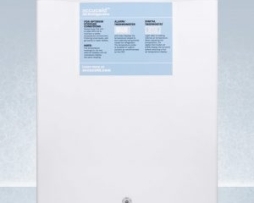 ABS PH-ABT-HC-UCFS-0104G-LH Premier 1.0 cu.ft. 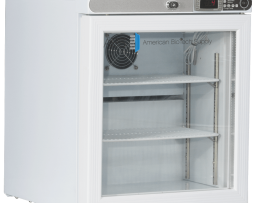 Pharmacy/Vaccine Countertop Refrigerator Freestanding Glass Door Left Hinged. 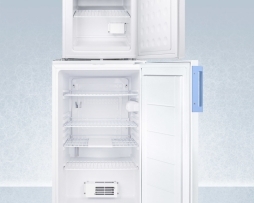 Units come standard with microprocessor temperature controller with audible and visual alarms, digital temperature display, remote alarm contacts, Freestanding thermometer with 3 year certificate of calibration, keyed door locks, leveling legs, and pharmacy refrigerator/freezer toolkit, temperature logs and CDC approved power cord labels. Temp Mapping, IOPQ and Extended Warranty options available, see Accessories for pricing. Two year parts and labor warranty. ABS PH-ABT-HC-UCFS-0104G Premier 1.0 cu.ft. Pharmacy/Vaccine Countertop Refrigerator Freestanding Glass Door. 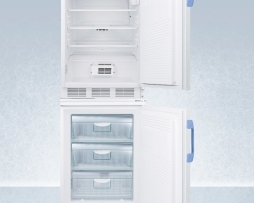 Units come standard with microprocessor temperature controller with audible and visual alarms, digital temperature display, remote alarm contacts, Freestanding thermometer with 3 year certificate of calibration, keyed door locks, leveling legs, and pharmacy refrigerator/freezer toolkit, temperature logs and CDC approved power cord labels. 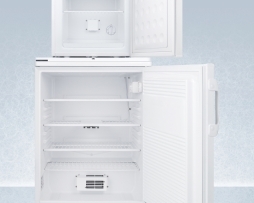 Temp Mapping, IOPQ and Extended Warranty options available, see Accessories for pricing. Two year parts and labor warranty. ABS PH-ABT-HC-UCFS-0104-LH Premier 1.0 cu.ft. 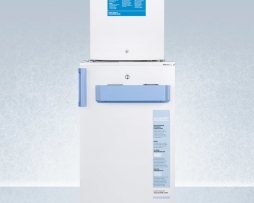 Pharmacy/Vaccine Countertop Refrigerator Freestanding Solid Door Left Hinged. 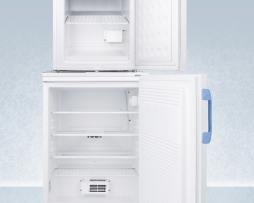 Units come standard with microprocessor temperature controller with audible and visual alarms, digital temperature display, remote alarm contacts, Freestanding thermometer with 3 year certificate of calibration, keyed door locks, leveling legs, and pharmacy refrigerator/freezer toolkit, temperature logs and CDC approved power cord labels. 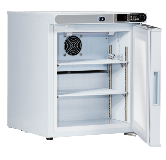 Temp Mapping, IOPQ and Extended Warranty options available, see Accessories for pricing. Two year parts and labor warranty. ABS PH-ABT-HC-UCFS-0104 Premier 1.0 cu.ft. 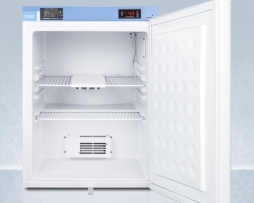 Pharmacy/Vaccine Countertop Refrigerator Freestanding Units come standard with microprocessor temperature controller with audible and visual alarms, digital temperature display, remote alarm contacts, Freestanding thermometer with 3 year certificate of calibration, keyed door locks, leveling legs, and pharmacy refrigerator/freezer toolkit, temperature logs and CDC approved power cord labels. Temp Mapping, IOPQ and Extended Warranty options available, see Accessories for pricing. Two year parts and labor warranty. 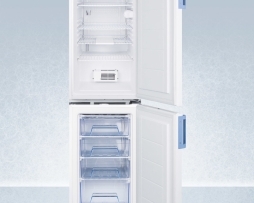 ABS ABT-HC-UCFS-0104G-LH 1 cu.ft. 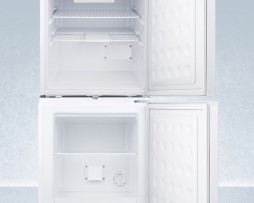 Premier Countertop Vaccine Refrigerator-Left Hinged. 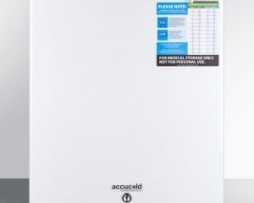 Units come standard with microprocessor temperature controller with audible and visual alarms, digital temperature display, remote alarm contacts, keyed door locks and leveling legs. 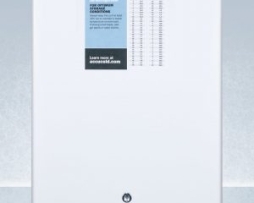 Temp Mapping, IOPQ and Extended Warranty options available, see Accessories for pricing. Two year parts and labor warranty. 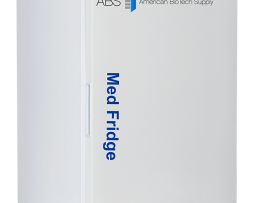 ABS ABT-HC-UCFS-0104G 1 cu.ft. 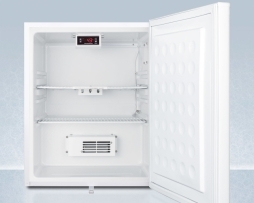 Premier Countertop Vaccine Refrigerator units come standard with microprocessor temperature controller with audible and visual alarms, digital temperature display, remote alarm contacts, keyed door locks and leveling legs. Temp Mapping, IOPQ and Extended Warranty options available, see Accessories for pricing. Two year parts and labor warranty. 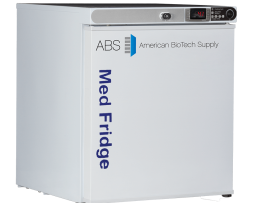 ABS ABT-HC-UCFS-0104-LH 1 cu.ft. 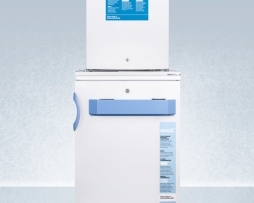 Premier Countertop Vaccine Refrigerator-Left Hinged. 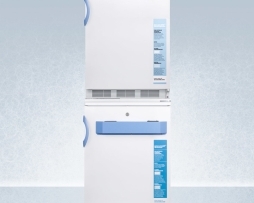 Units come standard with microprocessor temperature controller with audible and visual alarms, digital temperature display, remote alarm contacts, keyed door locks and leveling legs. Temp Mapping, IOPQ and Extended Warranty options available, see Accessories for pricing. Two year parts and labor warranty. ABS ABT-HC-UCFS-0104 1 cu.ft. 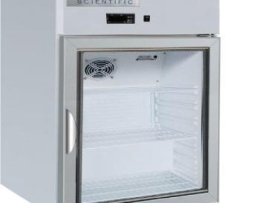 Premier Countertop Vaccine Refrigerator. 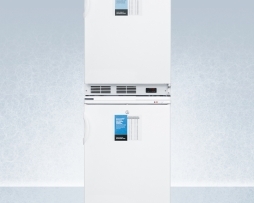 Units come standard with microprocessor temperature controller with audible and visual alarms, digital temperature display, remote alarm contacts, keyed door locks and leveling legs. Temp Mapping, IOPQ and Extended Warranty options available, see Accessories for pricing. Two year parts and labor warranty. 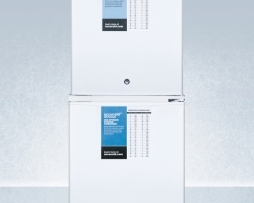 Summit FF511L-FS24LSTACKMED2 Medical Refrigerator Freezer Combination with separate compressor operation as recommended by the CDC that measures 56.0″ H x 19.75″ W x 22.63″ D.
Summit FF7L-FS24LSTACKMED2 Medical Refrigerator Freezer stacked combination offers separate refrigerator/freezer storage as recommended by the CDC that measures 56.0″ H x 24.0″ W x 23.5″ D.
Summit FF7L-VT65MLSTACKMED2 Medical Refrigerator Freezer stacked combination offers separate refrigerator/freezer storage as recommended by the CDC with a measurement of 70.0″ H x 24.0″ W x 23.5″ D.
Summit FF511L-FS407LSTACKMED2 Medical Refrigerator Freezer Combination refrigerator/freezer with separate compressor operation as recommended by the CDC and measures 67.38″ H x 19.75″ W x 22.63″ D.
Summit FF28LWHVAC 0.8 cu.ft. 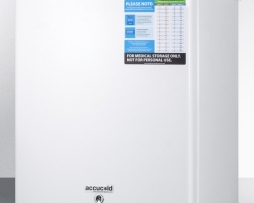 Compact Vaccine Refrigerator medical all-refrigerator for temperature stable medical storage, with digital thermostat, lock, self-closing door, temperature alarm, and internal fan.